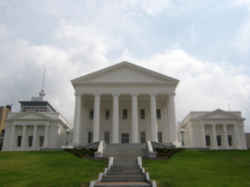 Links to histories and biographies of the famous people of Virginia. 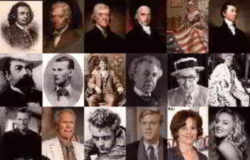 Many famous people of Virginia have made significant contributions to the history of our nation and the state of Virginia. These famous Americans, famous entertainers, famous players, famous scientist, famous singers, famous statesmen, famous women, heroes, great explorers, and others Virginia famous Americans have all made Virginia their home. This list includes Virginia historical figures, celebrities and those individuals of Virginia who have influenced the lives of others. Arthur Ashe (1943 - 1993) Famous tennis player; born in Richmond. 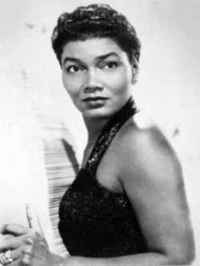 Pearl Bailey (March 29, 1918 - August 17, 1990) was an American actress and singer. Bailey was born in Southampton County in southeastern Virginia, to Joseph and Ella Mae Ricks Bailey. She was reared in the Bloodfields neighborhood of Newport News, Virginia. After appearing in vaudeville, she made her Broadway debut in St. Louis Woman in 1946. She won a Tony Award for the title role in the all-black production of Hello, Dolly! in 1968. In 1986, she won a Daytime Emmy award for her performance as a fairy godmother in the ABC Afterschool Special, Cindy Eller: A Modern Fairy Tale. Warren Beatty (1937 - ) Director, actor, producer, writer; born in Richmond. Admiral Richard E. Byrd (1888 - 1957) Explorer and first man to fly over North and South poles; born in Winchester. Roy Clark (1933 - ) Country music artist; born in Meherrin. Ella Fitzgerald (1917 - 1996) Jazz singer; born in Newport News. William Henry Harrison (1773 - 1841) Ninth president of the US; born in Berkeley. Thomas Jefferson (1743 - 1826) Third president of the US; born in Albermarle County. Meriwether Lewis (1774 - 1809) and William Clark (1770 - 1838) Led a famous expedition to the Pacific ocean; both born in Virginia. James Madison (1751 - 1836) Fourth president of the US; born in Orange County. James Monroe (1758 - 1831) Fifth president of the US; born in Westmoreland County. Edgar Allen Poe (1809 - 1849) Author of works such as The Tell-Tale Heart and The Fall of the House of Usher; lived in Richmond. Zachary Taylor (1784 - 1850) 12th president of the US; born in Orange County. John Tyler (1790 - 1862) Tenth president of the US; born in Charles City County. Booker T. Washington (1856 - 1915) African-American educator and founder of Tuskegee Institute; born on a small farm in the Virginia backcountry. George Washington (1732 - 1799) First president of the US; born in Westmoreland county. James E. West (1931 - ) Inventor of the Foil Electret Microphone; born in Prince Edward County. Woodrow Wilson (1856 - 1924) 28th president of the US; born in Stauton. Find more more Virginia famous people below. You may not even realize many of these famous people were born in Virginia or notable associated with Virginia, including actors, actresses, explorers, historical figures, inventors, musicians, novelists, professional athletes, important politicians, singers, sport stars and more. 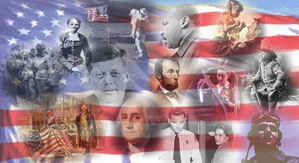 Learn history through the biographies of the famous people from your state.